Pablo Mateos is Lecturer in Human Geography at the Department of Geography, University College London (UCL) since 2008. In UCL he is a member of the Migration Research Unit (MRU) and an associate of the Centre for Advanced Spatial Analysis (CASA). Pablo Mateos research interests lie within Social and Urban Geography and his work focuses on investigating ethnicity, identity, migration and segregation in contemporary cities. His recent work has focused on residential segregation, categorisations of ethnicity, dual citizenship, the geography of names, and the spatial analysis of populations and neighbourhoods in the UK, Spain, US and Mexico/ Latin America. He has been a visiting scholar at Princeton University (Office of Population Research), the University of Auckland (New Zealand), Universidad Autonoma de Madrid (Spain), Universidad Nacional Autonoma de Mexico (Mexico City), and Universidad de Guadalajara (Mexico). He was a postdoctoral research fellow at the Migration Research Unit in UCL. He is a fellow of the Royal Geographical Society and the Royal Statistical Society, where he sits on several committees, as well as a member of the British Society of Population Studies, and the Association of American Geographers. He is a member of the Economic and Social Research (ESRC) Peer Review College (2010-2014), and a member of the editorial board of the journal Human Biology. He has published over 30 journal articles and book chapters in the last five years. Amongst his most recent publications are: Mateos, P., and Durand, J. (2012) Residence vs. ancestry in acquisition of Spanish citizenship; A 'netnography' approach. Migraciones Internacionales, 23 (in press); Mateos, P., Longley, P.A. and O’Sullivan, D. (2011) Ethnicity and Population Structure in Personal Naming Networks. PloS ONE (Public Library of Science) 6 (9) e22943; Mateos, P. (2011) Uncertain segregation: the challenge of defining and measuring ethnicity in segregation studies, Built Environment, 37 (2) 226-238; Iceland, J., Mateos, P., and Shaw, G. (2011) Ethnic Residential Segregation by Nativity in Great Britain and the United States. Journal of Urban Affairs, 33 (4) 409-429 Mateos, P, Singleton, A D, Longley, P A. (2009) Uncertainty in the analysis of ethnicity classifications: some issues of extent and aggregation of ethnic groups. Journal of Ethnic and Migration Studies, 35 (9) 1437-1460. 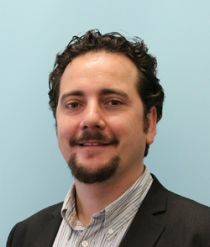 Pablo Mateos has been coordinator of the UCL Global migration network and joined CReAM as an external fellow in January 2012.